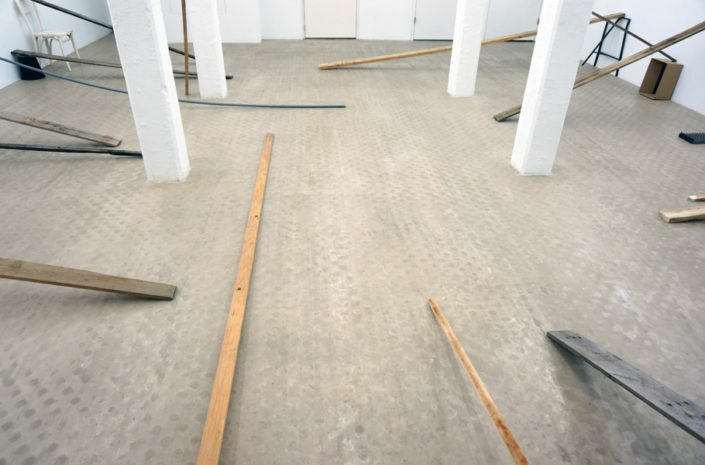 Means and Ends is a sprawling installation conceived especially for the second floor of Wilfried Lentz Gallery, taking its clues from the space itself – mirroring, mimicking and extending some of its architectural elements. Emanating from the central rectangle marked by the room’s four pillars, and extending outward towards the walls and edges of the room, Horvat’s ad hoc construction of wooden sticks and planks buffered, jammed or held in place with softer materials and objects (foam strips, cushions, folded fabric) connects different points in the space with a crisscrossing network of ramps, bars and diagonals. 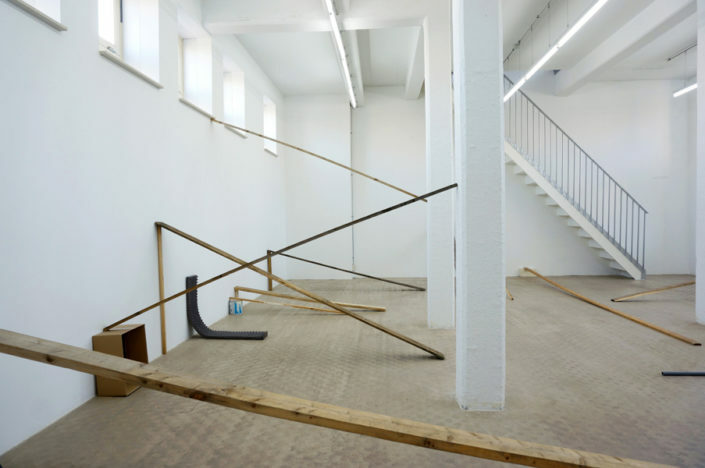 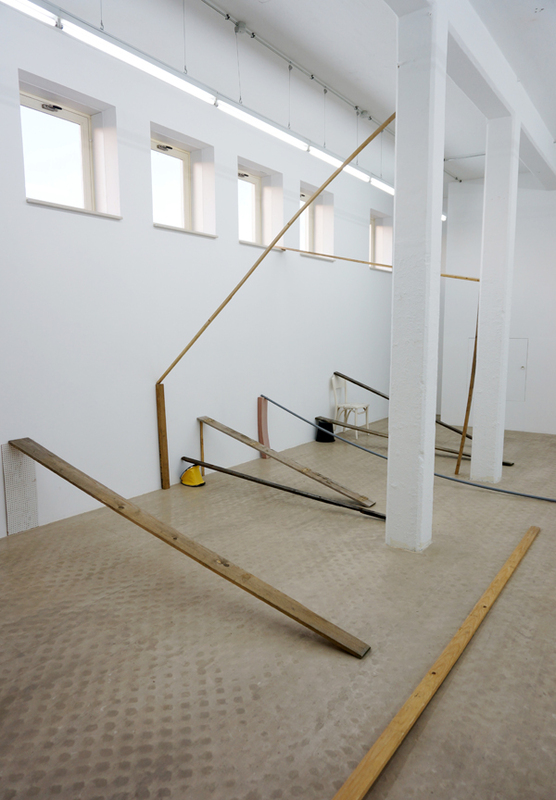 These makeshift bridges, which cut the space at different heights and at different angles, join the pillars to the walls, the floor and the windows, creating a jumbled field of upward-downward lines, energies and movements – evoking a playground on the one hand, and on another, staging a set of apparently arbitrary divisions, barriers and obstacles that direct and obstruct movement in the space. 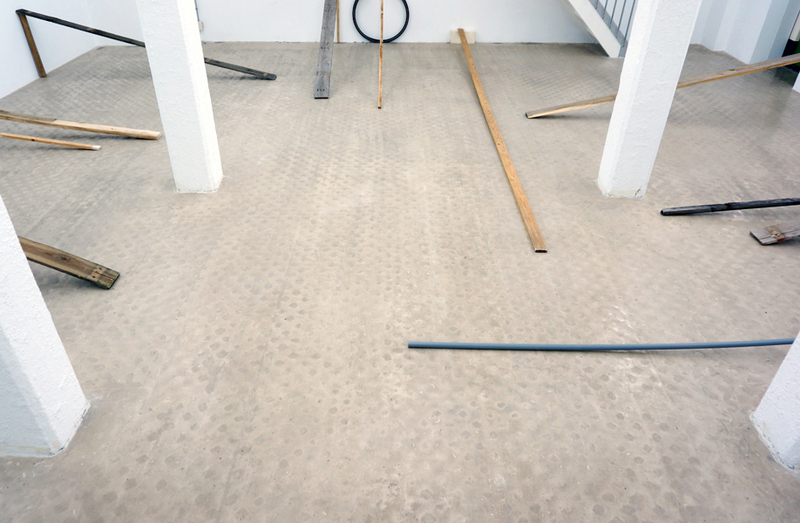 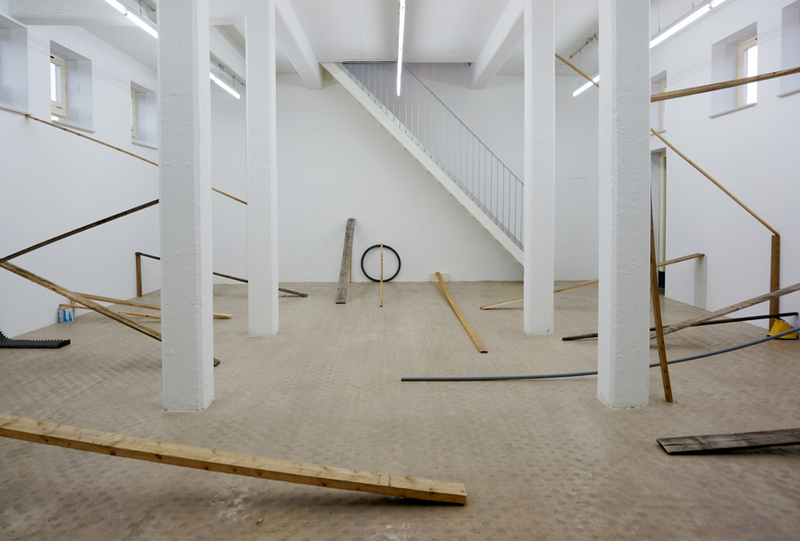 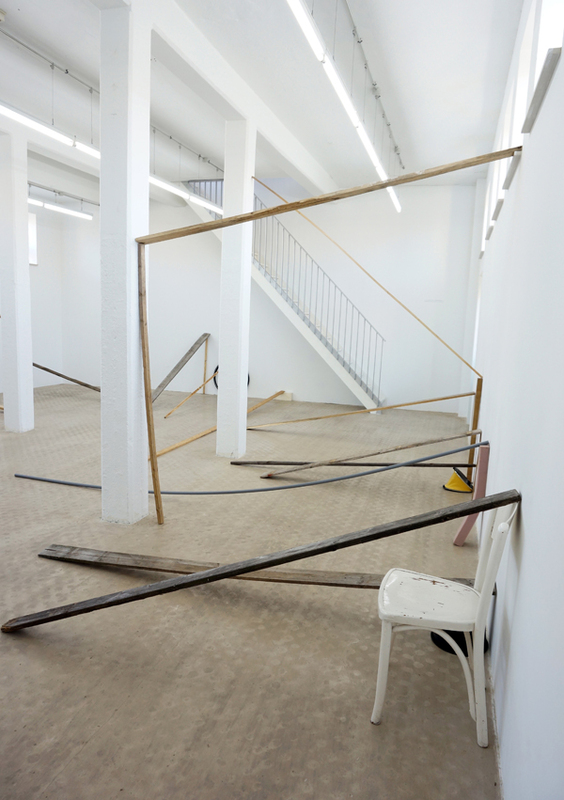 Horvat’s interest here – as with much of her practice in sculptural installation – is in the relation between built space and the kinds of performative and transformational human processes which might be enacted on and in it, her interventions reconfiguring both the possibilities of the space itself and of the spatial and social relations at play in it. 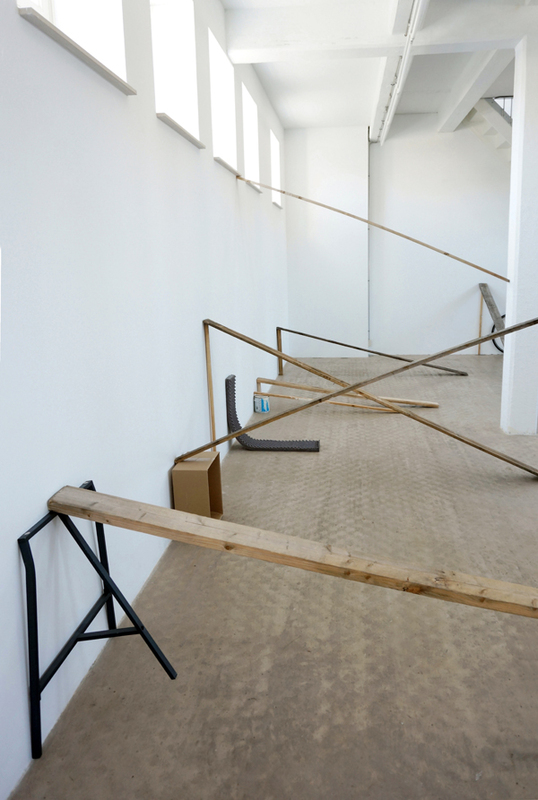 Frequently focused on re-drawing borders, physical and representational frames, Horvat’s installations tend to animate the dynamic relation between the centre of a space, object, or an image on the one side, and its edges or peripheral areas on the other. 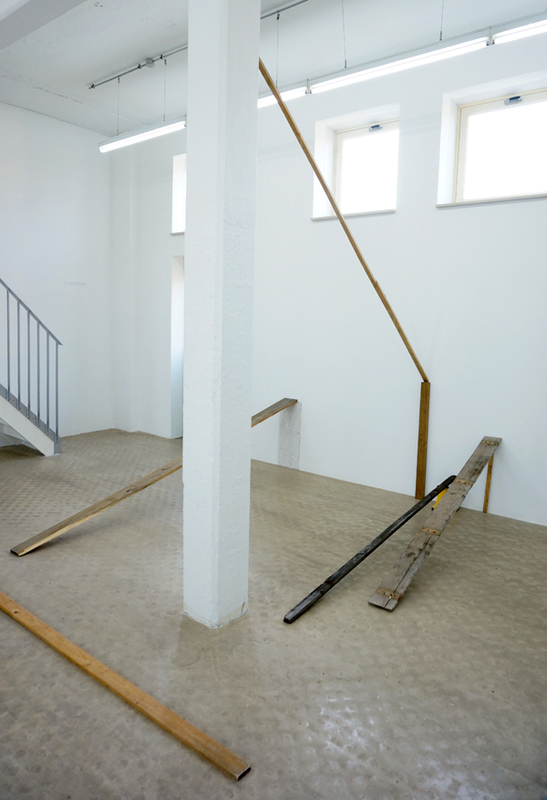 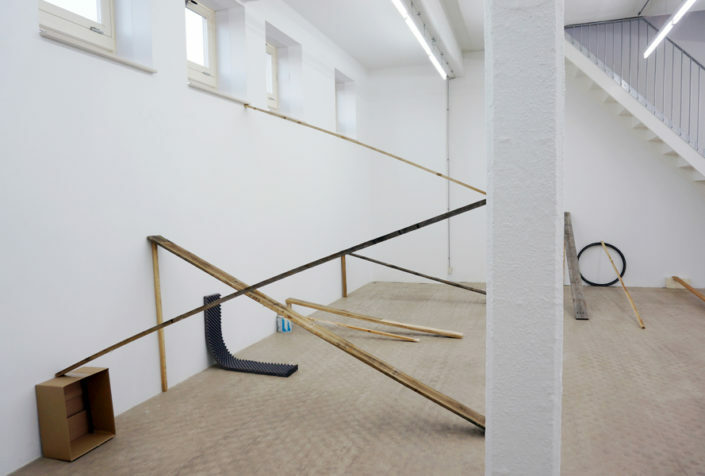 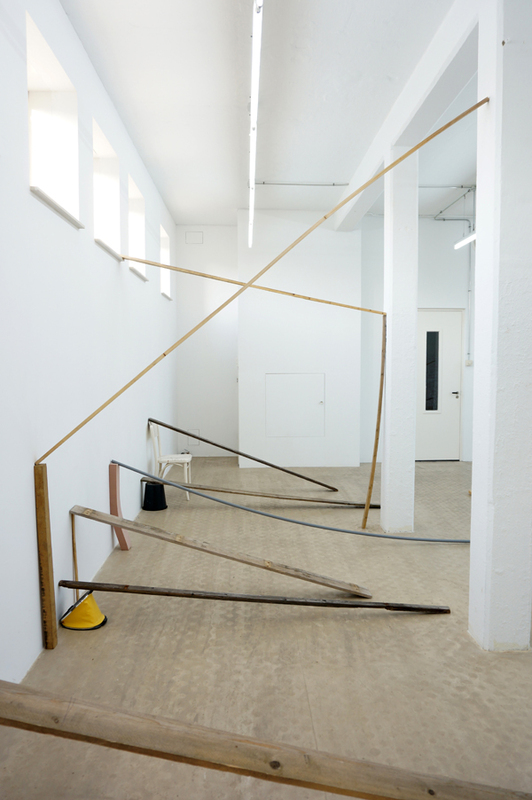 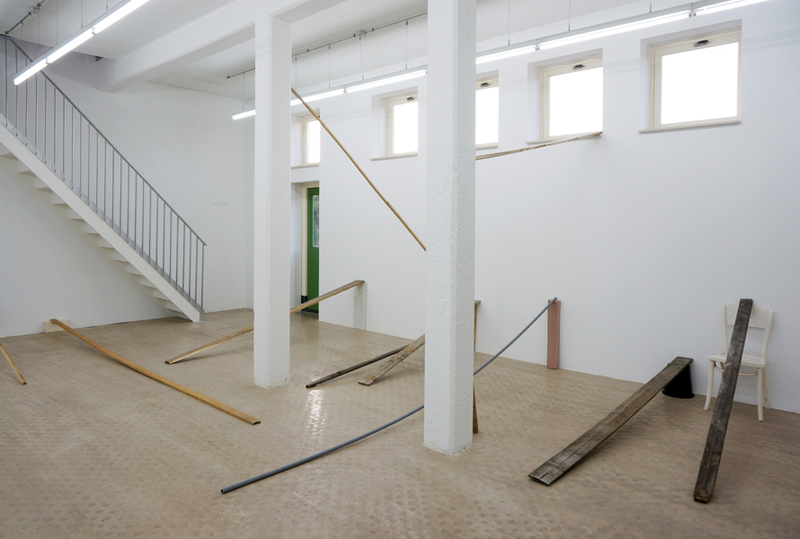 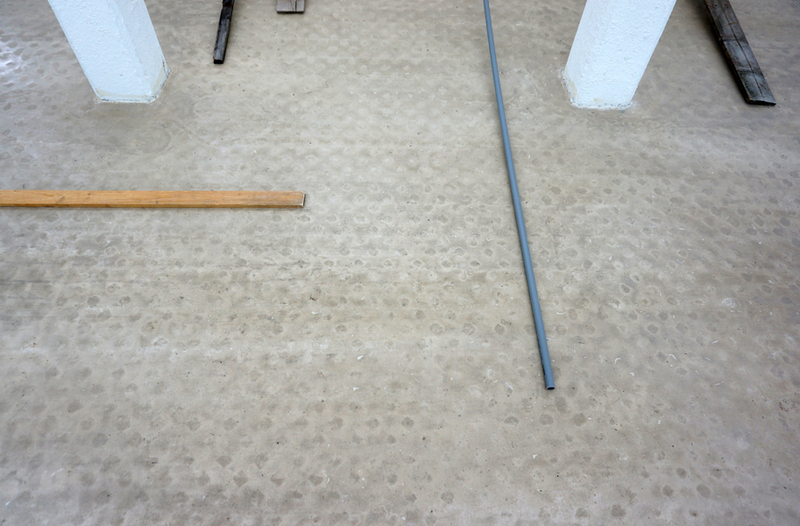 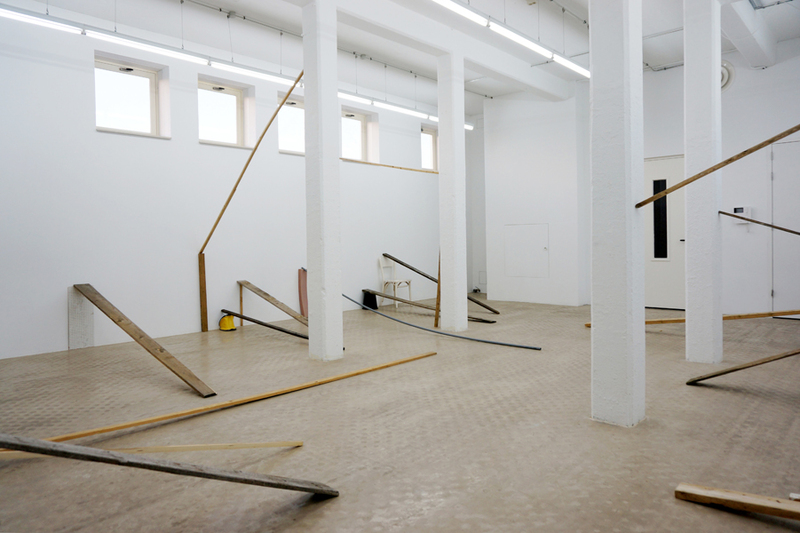 The work – through its gestures of spatial mimicry, impromptu division, temporary construction and improvised connection – draws attention to both the existing space and a set of unrealized possibilities within it, creating an environment which challenges our journey inside it as well as our ability to figure its purpose and its constraints. 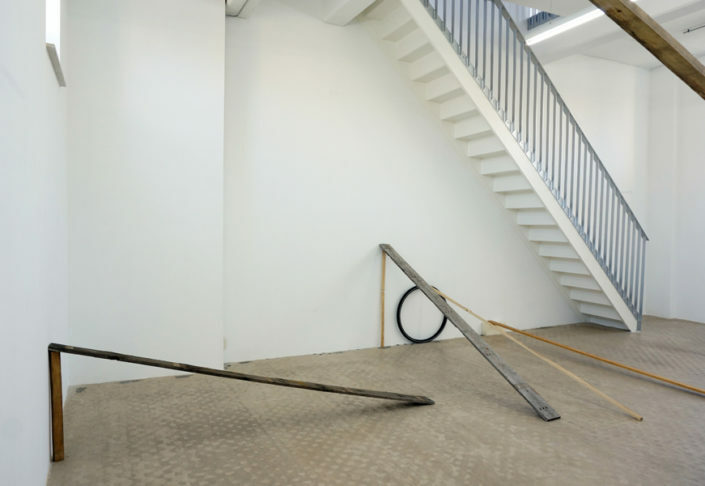 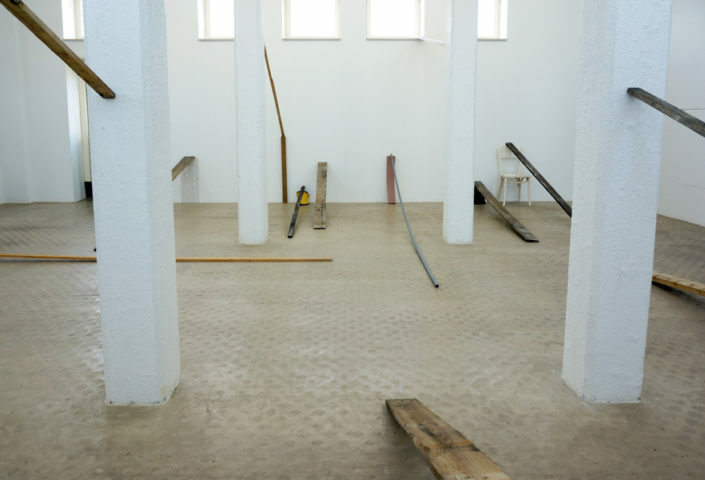 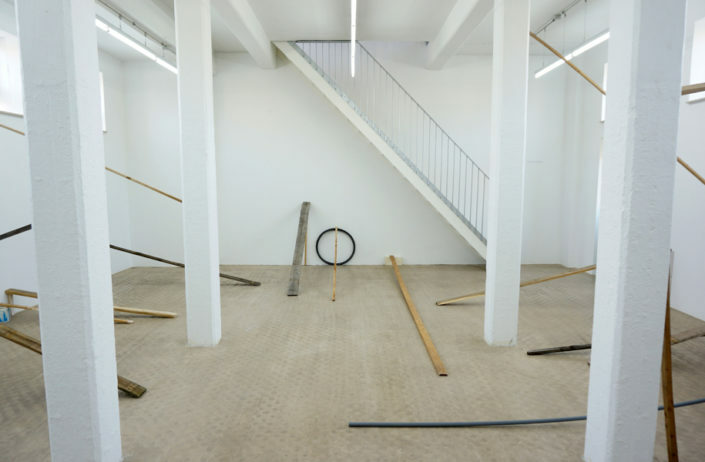 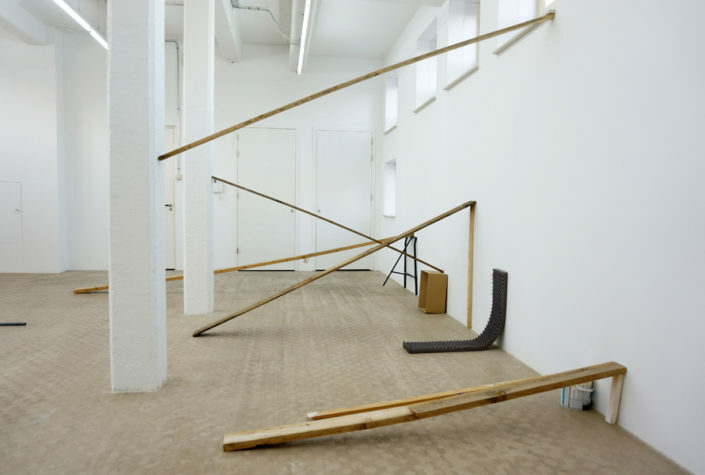 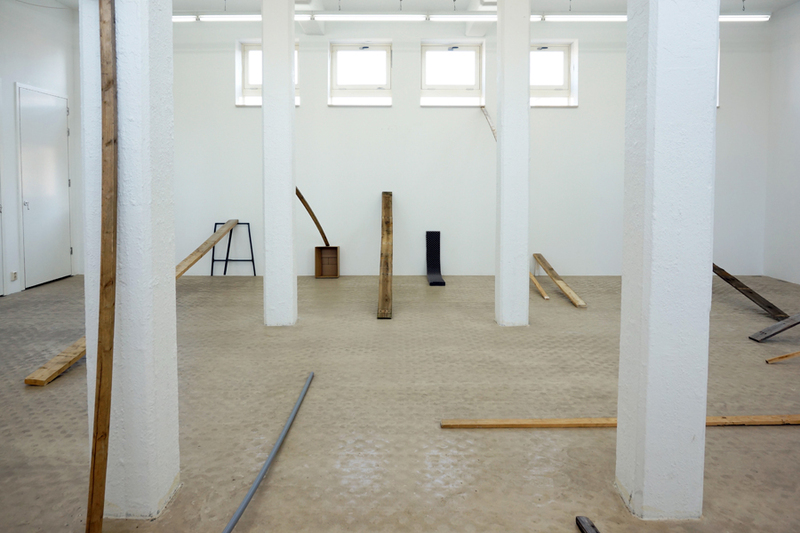 Employing the most elementary and temporary gestures of building – leaning, balancing, trapping, stacking, wedging, folding, piling – Horvat makes a 3-dimensional drawing in the space, which both imaginatively extends and materially compromises its utility. 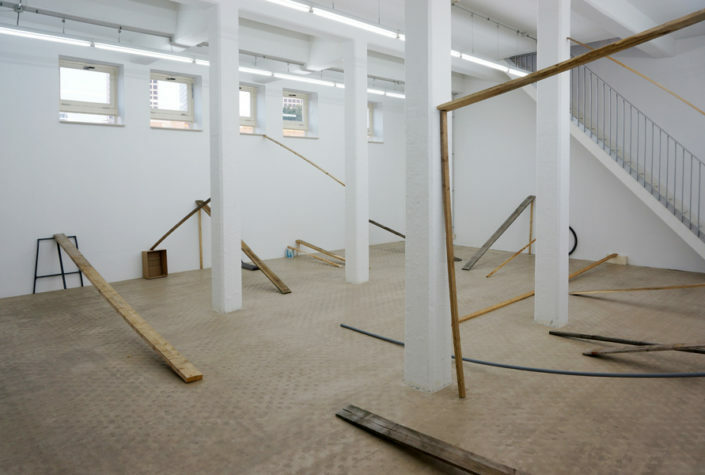 In responding to the space in this way, Horvat’s meandering construction of endless unstable rises and falls, ascents and descents brings to the fore questions of mobility and stuckness, balance and stability – performing the conflicting human desire to be grounded, and at the same time, to be lifted; our wanting to connect to the solid limits of space and also wanting to escape them.